First blog post on the newly launched blog! It even has its own RSS feed for those who still use that. This blog will be more frequently updated than the newsletter, so you can subscribe to either or both, as they will be used for different purposes. By default, columns are only activated on tablet and desktop. If you want to use columns on mobile too, add the is-mobile modifier on the columns container. You can now apply different column size for each breakpoint. If you use mobile modifiers on single column elements, make sure to use the is-mobile modifier on the columns container. By default, if you want to start a new row, you just need to close a columns container and open a new one. But you can also add the is-multiline modifier on the columns container, and use column size modifiers (like is-half or is-3) to define size on multiple rows within the same container. 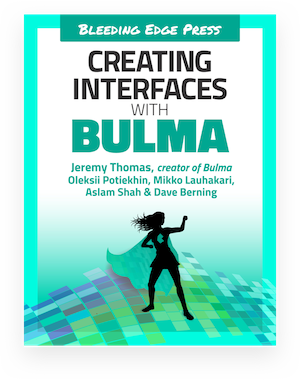 While modifiers are specific to each Bulma element, helpers are general utility classes that can be applied on almost any element. Check out the new helpers documentation!